Today’s blog title was true a couple weeks ago but your girl has turned over a new leaf. Ever since, I started my new job I have been working out 2-3 times a week. Crazy, right? My office building has a gym for their employees. Which means I no longer have a good excuse not to work out. My style has been changing a little has you can see here and here. I have been channeling my inner “grown up Feyi” but my true style will always be laidback and mainly athleisure. I love athletic wear and street style. 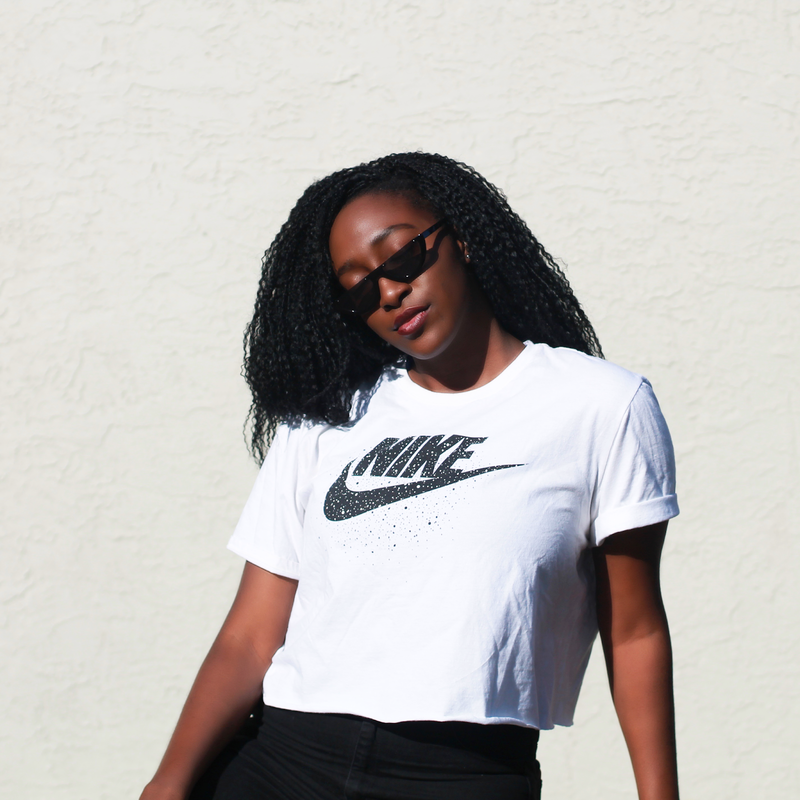 Maybe its because I played sports growing up or I have always been a tomboy obsessed with sneakers but there is something amazing about wearing an nike shirt with a pair of cool kicks. I will take an Adidas sweatshirt and leggings over a dress and heels any day. Well… if the heels are Christian Louboutin or Chanel I might have to reconsider. I mean… who wouldn’t?